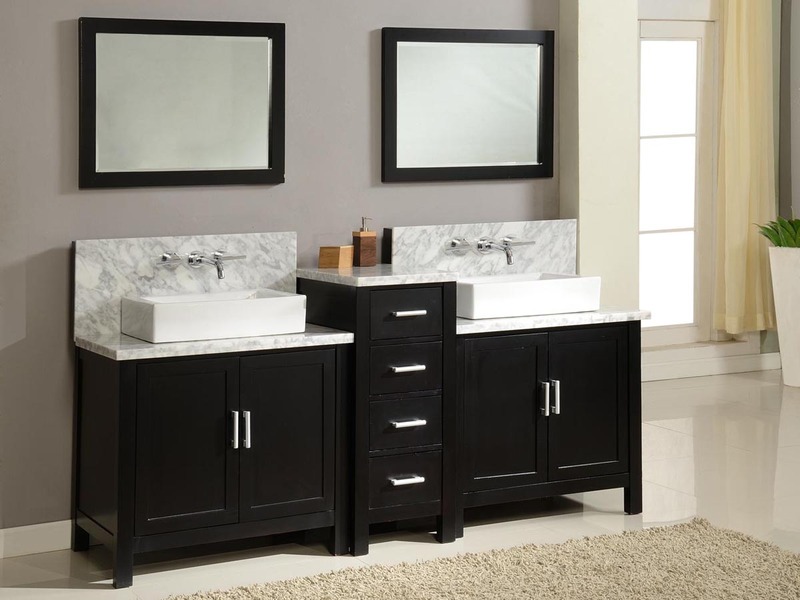 The 84" Torrington Double Vessel Sink Vanity incorporates innovative designs with modern styles to give you a truly unique vanity that will surely elicit awe in your bathroom. 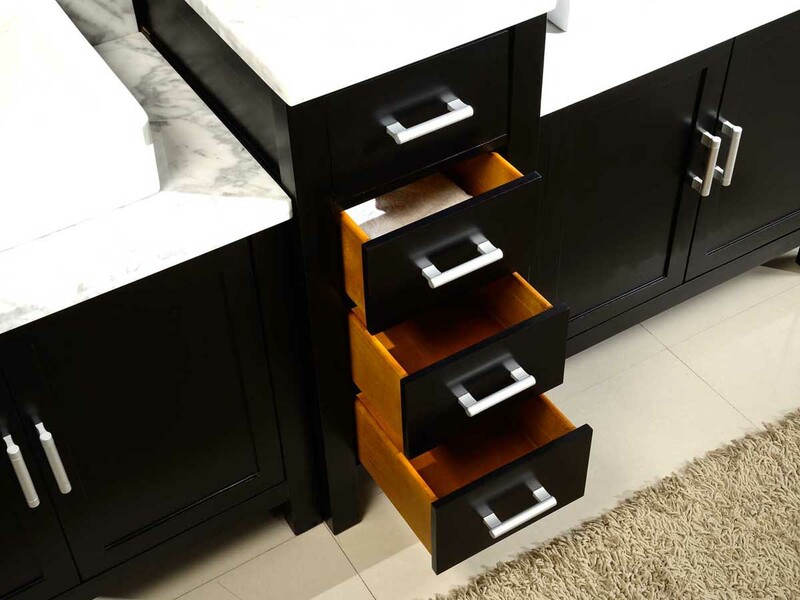 Featuring a solid birch cabinet with an espresso finish, the Torrington boasts a sophisticated finish that is complemented with brushed metal hardware for a remarkably urban feel. 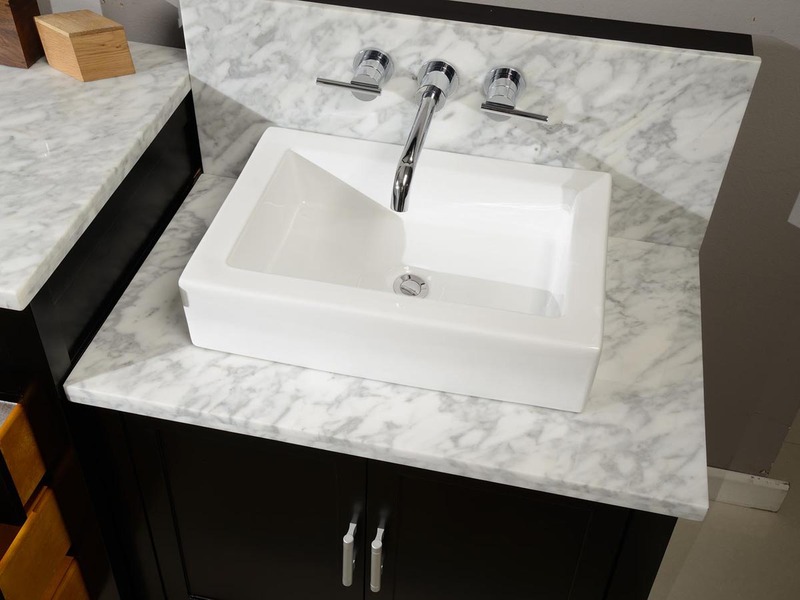 Its white porcelain vessel sinks are square-shaped for a different look and is paired with an innovative faucet design that is installed off-the-wall, so you can have wall-mounted faucets without having to drill through your walls. The faucets are designed to be installed right into the backsplash, which is made from the same beautiful Carrera white marble as the countertop, bringing together a vanity that is the epitome of modern innovation!